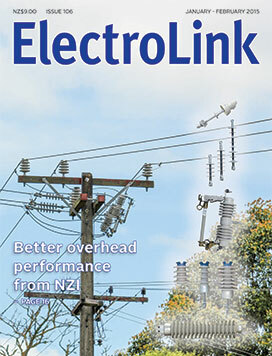 When it comes to securing electricity supply through New Zealand’s overhead power lines, the humble porcelain insulator has proved to be the most reliable means of protection for many generations. Manufactured in New Zealand by New Zealand Insulators (NZI), the quality of the local product is a result of years of manufacturing expertise built up by the company and the unique Kakahu blend of clays, sands and mixing agents from which all NZI-branded porcelain insulators are made in Temuka. Coated with glaze that helps to prevent flash-overs by promoting self-cleaning and enhancing mechanical strength, NZI insulators have built a reputation for reliability and durability, so it shouldn’t have come as a surprise to the company when its insulators were considered for the design and construction of a series of massive communication towers in China, says general manager Chris van der Werff. Prior to 2010, the Wiring Rules expressed in AS/NZS 3000 were the primary industry focus for safe and compliant electrical installations, but that changed significantly with the release of the new Electricity (Safety) Regulations that year that changed the way the two parts of the standard were to be used. The 2010 regulations set compliance on a new path and increased the gap between New Zealand and Australia. New Zealand forged further ahead in the 2012 amendment by aligning with the WTO objectives and introducing risk management fundamentals to the Electricity Regulations. These changes have also brought the New Zealand regulatory regime into alignment with the ISO and IEC pathways, from where almost all of our standards originate. A name change, a sharper focus on challenge modules and the possible introduction of a trans-Tasman competition are among key changes being introduced to the annual Ecanz Challenge. Recently-appointed Ecanz Challenge organiser Bernie McLaughlin says most significant of the changes going forward is rebranding to the Master Electricians Challenge, and the potential for the winners to compete, in future competitions against their peers in Australia. McLaughlin says this will serve to strengthen the Master Electricians brand and better reflect the high level of expertise required by apprentices to successfully compete at national level. 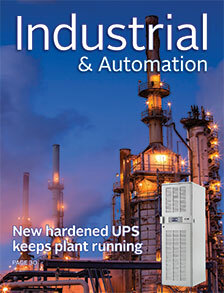 If you are responsible for keeping power supplied to vital industrial equipment and you have been having difficulty keeping UPS operating reliably in harsh working environments, your troubles are now over thanks to a new ruggedised industrial UPS from Eaton. Now available from YHI (New Zealand) Ltd Power Systems, the new 9EHD UPS family with its IP rating and conformal coating protecting its sensitive electronics has been purpose-designed to protect equipment in the toughest industrial plant, says senior sales engineer Aaron Gillon. As an authorised Eaton distributor, YHI Power Systems is stocking core models in the Eaton 9EHD range throughout the company’s six regional warehouses. The range has two models: the 9EHD-31, a single phase output UPS and the 9EHD-33, a three phase output UPS with online double conversion. Australian state electrical regulators have voiced concern that the competency standards for working with electrical equipment in hazardous areas are not good enough and that there is no provision or requirement for those undertaking training in hazardous areas to have their competence assessed and verified. These concerns are not new but have re-emerged with the October release of a draft review of the joint AS/NZS 4761.1:2008 standard that specifies the competencies required for work associated with electrical equipment for hazardous areas. It is also the standard to which competency is assessed and attributed. Christchurch-based Garry House, the chairman of the Classification of Hazardous Areas MS11 standards committee, says the revised draft competency standards developed by the Hazardous Area Competencies committee (MS66) fail to meet the competency levels required for working in hazardous areas. Why don’t dimmers always work on LEDs? Solid state LED lighting offers many potential energy saving benefits but with it comes a fresh set of challenges around compatibility with legacy lighting controls designed for traditional analogue lighting technology. Compatibility between LED lamps, drivers, dimmers and automated lighting controls can be confusing for installing electricians and this isn’t helped by the failure of many LED manufacturers to provide clarity as to their products compatibility with existing lighting controls. Chief among these is simple light dimming and the extent to which LEDs will function with leading edge or trailing edge phase cut dimmers installed in many thousands of homes and commercial premises around New Zealand. The Energy Efficiency and Conservation Authority (EECA) has released the first in a series of lighting product profiles and is now calling for industry comment on the feasibility of revising or expanding energy performance standards for legacy lighting technologies. The profile has been prepared by the Australian-based E3 (Equipment Energy Efficiency) program – a joint energy efficiency initiative between the Australian and New Zealand Governments. Largely Australian-centric, the profile emphasises that the New Zealand Government does not wish to limit consumer choice and incandescent lamps (the most inefficient legacy technology of them all) are likely to remain for sale in New Zealand. In the beginning the world was dark and God decided it was dangerous for Adam and Eve so he invented emergency lighting. Well whilst this story isn’t true, emergency lighting has been around for a long time. 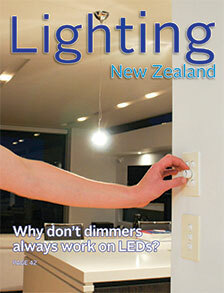 In New Zealand my first introduction to emergency lighting was with CP 22, then NZS 6742 and later AS/NZS 2293. In this article we don’t need to go into the history of 2293, save that to say it is in its current form more than 10 years old and in some places well out of date with current technology – time for a re-write.